If you aim to get a NEET PG seat this year, the earlier you start doing this, the better. The number of applicants for NEET PG is increasing every year and the competition is getting tougher as lakhs of aspirants each year appear NEET PG exam for just few thousand seats. Almost every competitor works hard but to get your desired seat in a government college you need to work smart. Owing to the vast syllabi of NEET PG exam, it is impossible to remember everything during the exam. 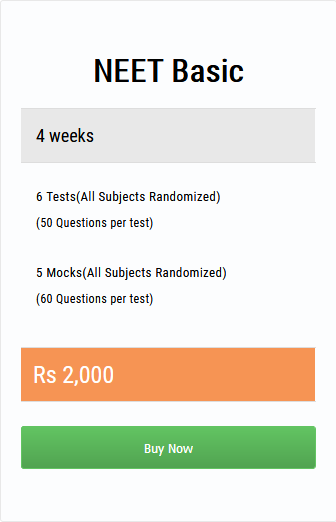 Therefore, the online portal – http://medexamsprep.com/ provides you a selective study approach to prepare for the NEET PG with their NEET PG Free Question Papers. Aspirants must divide time according to subject’s weightage of marks and start studying the syllabus topic wise. One or two weeks are sufficient for vast subject and 3-4 days for short subjects. In the last one or two months you should only revise and practice. You can bookmark important points on the online portal so that it will be easy for you to revise later. Revision is important part of your preparation. Because you’re only going to go through your notes in the last 2-3 months. If you haven’t been making notes and highlighting texts in a standard text book you should start now. Preparations must be made from the best NEET PG books that are available for you online and also the NEET PG Free Question Papers which are available online. Only learning is not going to help, bookmark and retain topics that you have prepared for NEET PG for revision. Practice as much as you can the NEET PG Free Question Papers online. All the Best.